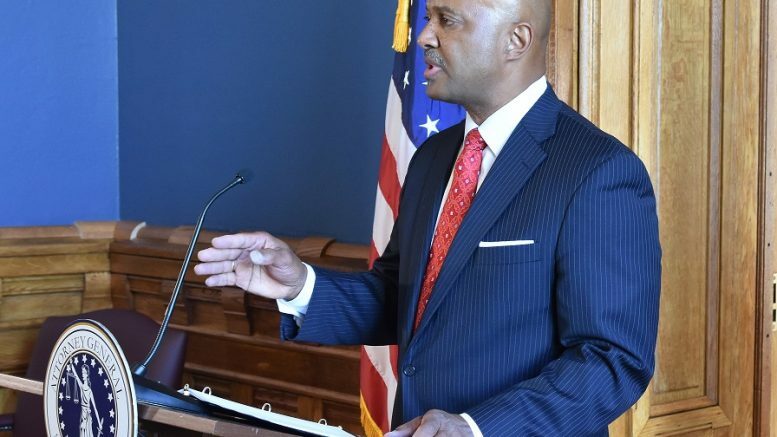 Indiana Attorney General Curtis Hill dug in Monday and rejected calls to resign, saying his name “has been dragged through the gutter” amid allegations that he inappropriately touched a lawmaker and several other women. The Republican said during a news conference that he stands “falsely and publicly accused of abhorrent behavior.” Hill said he learned about the allegations and an internal investigation stemming from the claims shortly before boarding a plane last week. He stated that he has been unfairly treated and asked for a fair investigation. The memo alleges that a state lawmaker and three legislative staffers allege Hill drunkenly groped them during a March party. Democratic Rep. Mara Candelaria Reardon and Gabrielle McLemore, the Indiana Senate Democrats’ communications director, say they were among the victims. Candelaria Reardon described Hill’s behavior as “deviant” when she encountered him in the early morning hours after the legislative session ended for the year. Hill, a married, staunch social conservative, had been viewed as a rising star in the Republican Party since his election in 2016. If Hill does not resign, majority Republicans could take action to remove him. Be the first to comment on "ATTORNEY GENERAL HILL HAS NO PLANS TO RESIGN"